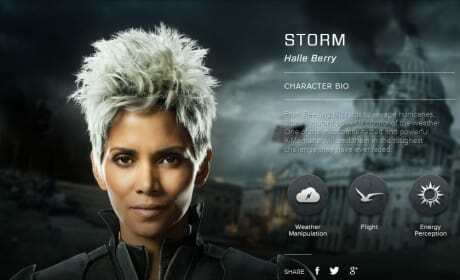 X-Men: Days of Future Past star Halle Berry. She is back as the mutant Storm. The X-Men Days of Future Past Professor X and Storm poster. Halle Berry and James McAvoy star. 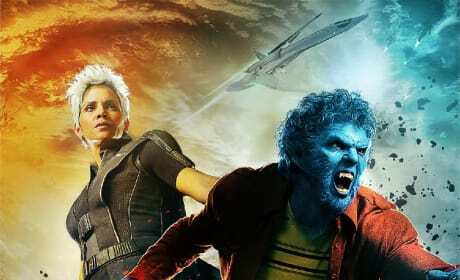 The X-Men Days of Future Past Beast and Storm poster. Nicholas Hoult and Halle Berry star. The X-Men Days of Future Past Storm Bio Banner. 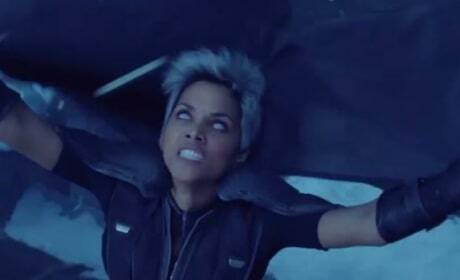 Halle Berry is back as Storm. 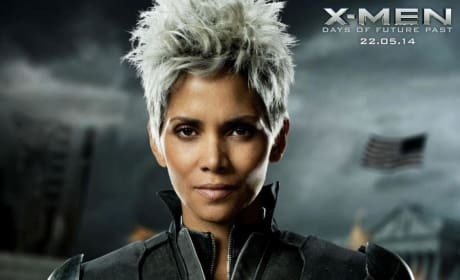 X-Men Days of Future Past photo features Halle Berry as Storm. The X-Men super world lands May 23. 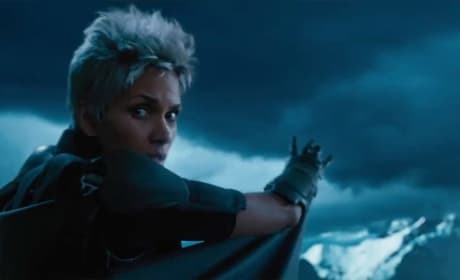 Halle Berry is back as Storm. Storm returns to the X-Men world in X-Men: Days of Future Past. 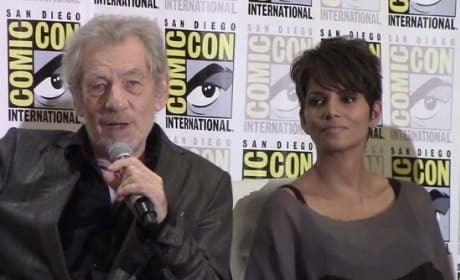 Halle Berry and Ian McKellen from the Comic-Con press conference for X-Men: Days of Future Past. The entire cast was there, including Hugh Jackman and James McAvoy. 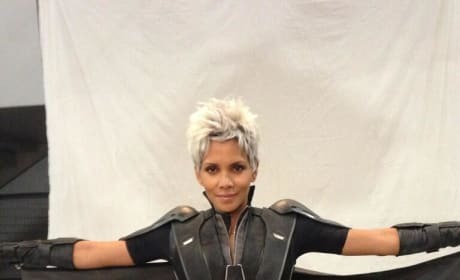 Halle Berry is Storm in this set photo from X-Men: Days of Future Past. Director Bryan Singer tweet the pic. 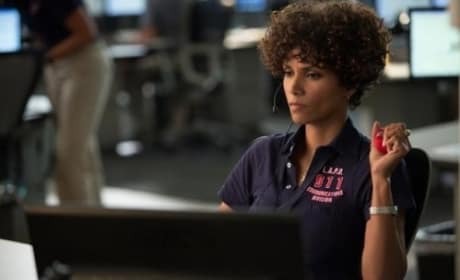 The Call star Halle Berry. Berry stars as a 911 operator trying to save Abagail Breslin. Movie 43 star Halle Berry. The film also features a slew of a-list talent including Hugh Jackman and Kate Winslet. 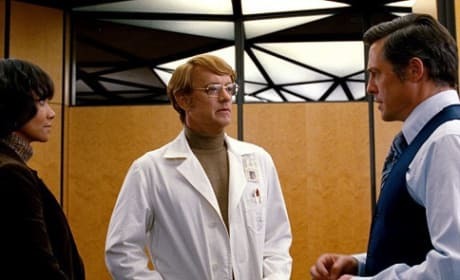 The film Cloud Atlas is varied and vast. The stars, Halle Berry, Hugh Grant and Tom Hanks all astound. Cloud Atlas stars Tom Hanks and Halle Berry. The film opens October 26. Halle Berry is a former fashion model and beauty queen gone successful actress.Â The gorgeous actress got her big breakthrough in Spike Lee's Junge Fever.Â Since then Halle Berry has continued to have an amazing career starring recently in the X-Men movies as Storm and as the Bond girl in Die Another Day. Halle Berry: Is Bond Role Her Best?